作者: The AsiaN Editor on 23 March , 2018. China’s largest self-developed tunneling machine will be exported to Bangladesh to assist with a river tunneling project, breaking the export monopoly of ultra-large tunneling equipment once held by developed countries. The machine, with a diameter of 12.12 meters and length of 94 meters, weighs 2,200 tons. It will be used for opening a 3,500-meter road tunnel under Karnaphuli River, China’s largest project of its kind overseas. The project is important in the construction of the Belt and Road Initiative, and a key component of the Bangladesh-China-India-Myanmar economic corridor. It is believed to play a significant role in improving the Asian highway network and boosting connectivity between Bangladesh and its neighboring countries. 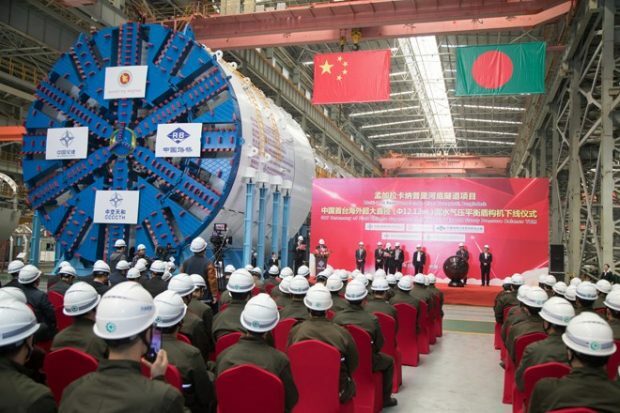 The export of the machine produced by Tianhe Mechanical Equipment Manufacturing Co., Ltd based in east China’s Jiangsu province will break the monopoly of ultra-large tunneling equipment by developed countries in the exports. The exports of ultra-large shield tunneling machines were previously dominated by Germany, Japan and some other developed countries. China’s progress means its capacity in design, research and development of the machines has taken the lead. “The tunnel construction has been a dream for Bangladesh people,” said Kabir Ahmed, chief engineer of the Bangladesh Bridge Authority, adding that the project adopts Chinese standards in design. Delivery of the machine in such a short time fully demonstrates the “China speed”, the engineer pointed out. Currently, Tianhe is developing a tunneling machine with a diameter of 13.19 meters that will be used on Southeast Asia’s first high-speed railroad linking Indonesian capital Jakarta to Bandung. By then, the machine will be the largest one working on the construction of Asian railways. As for the next step, China plans to challenge the world record of tunneling machines by building one with a diameter of 18 meters, the equivalent of a six-storey building. Through 10 years of effort, China has shifted from following others to keeping pace and strive to lead the development of the tunnelling machines, said Yang Huayong, an academician of the Chinese Academy of Engineering. 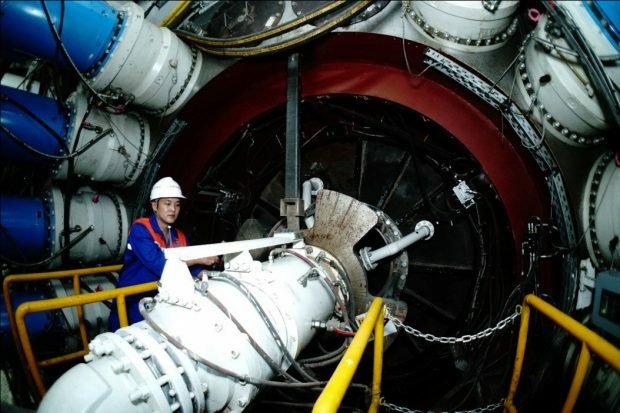 Yang said that China’s self-developed tunneling machines now occupy over 80 percent of China’s newly-added market share. The Belt and Road Initiative has enabled more than 10 countries including Israel, Singapore and Thailand to use China-made tunneling equipment, according to Yang.